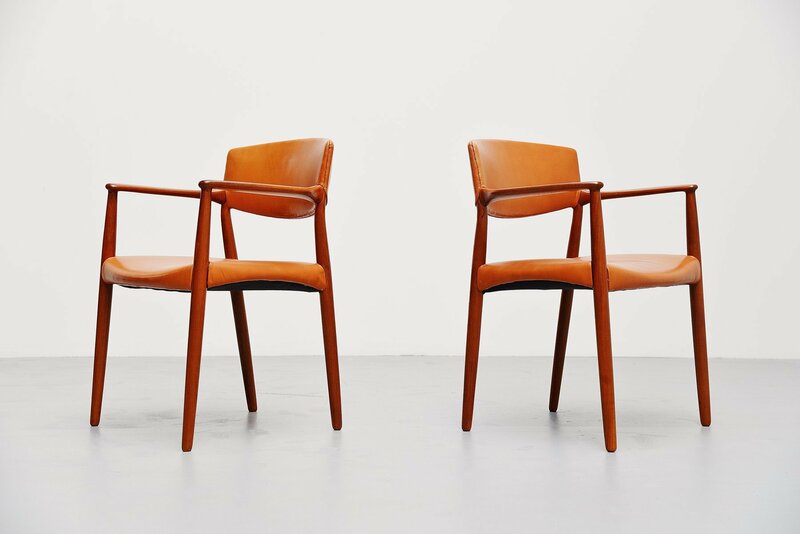 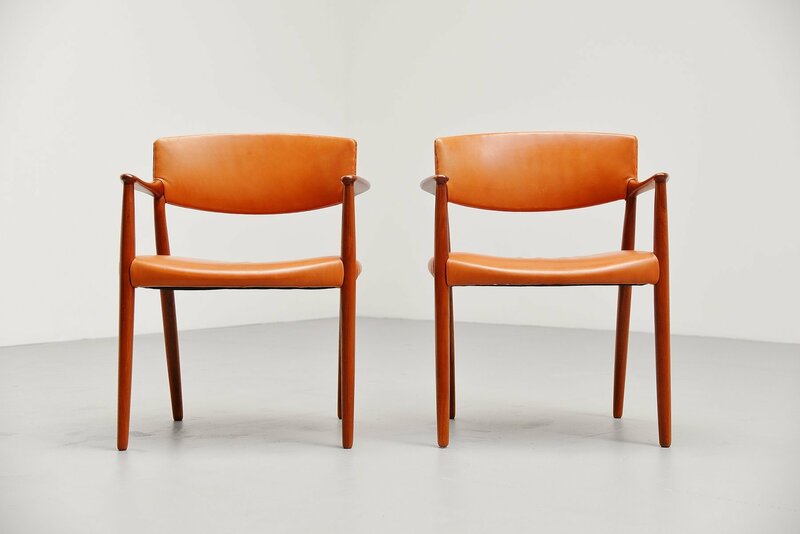 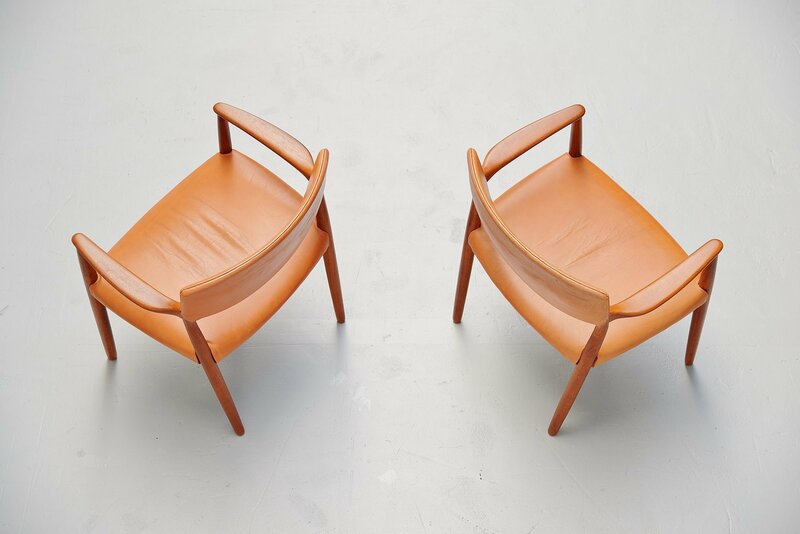 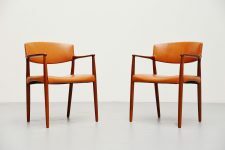 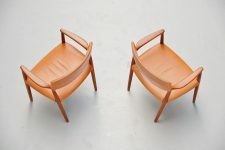 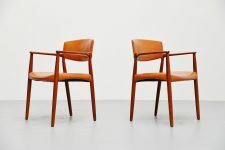 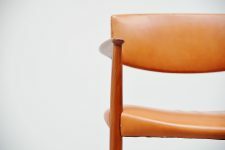 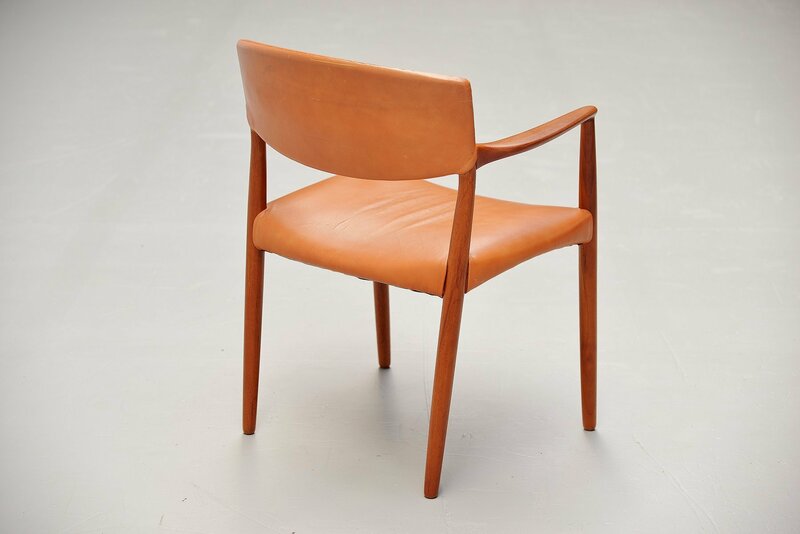 Very nice and rare pair of arm chairs designed by architects Ejnar Larsen & Aksel Bender Madsen produced by cabinet maker Willy Beck Copenhagen, Denmark 1951. 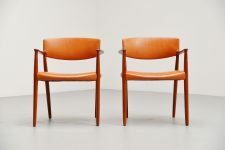 These very nice crafted armchairs have a solid teak frame that is fully refinished and therefor in excellent condition. 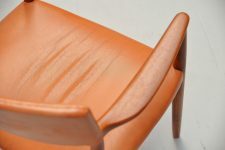 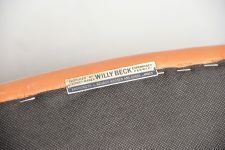 The cognac leather upholstery is completely original, we refilled the seat cause the foam was gone due to age and usage. Now the chairs can be used for several more years easily and preserved their patina. 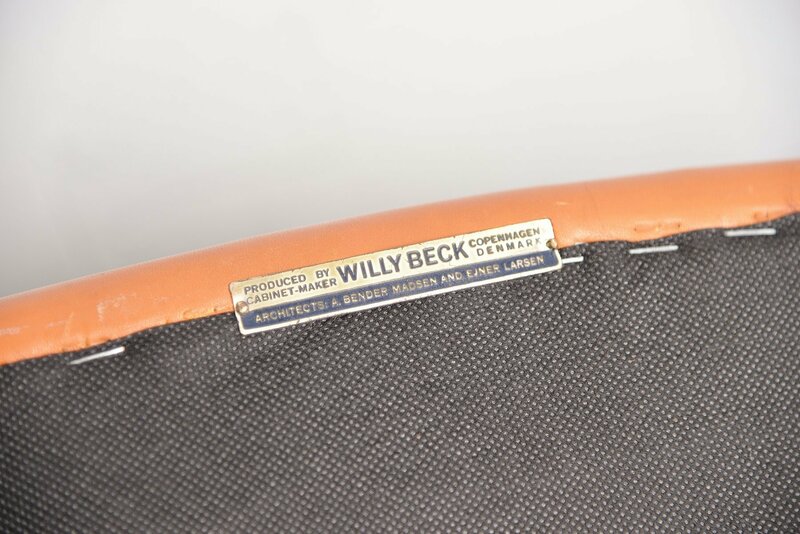 Chair is marked with the metal Willy Beck tag underneath the seat. 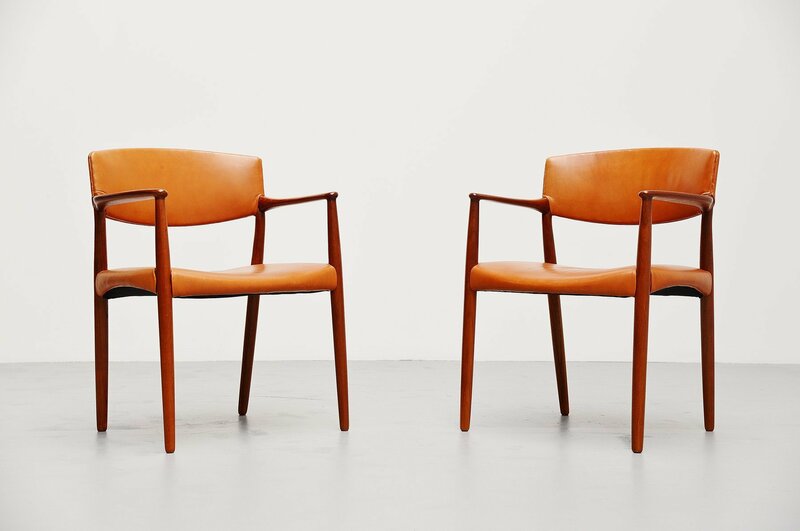 A very elegant and rare set of armchairs.